3 +1 SPACIOUS Boutique Apartment, Best value rental! 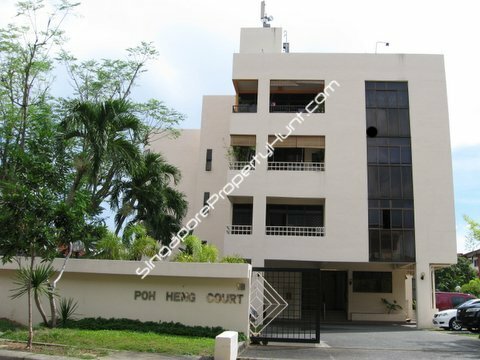 Poh Heng Court is located along Woo Mun Chew Road off Upper East Coast Road, in the prime district 15 of Singapore. It is a low-rise, 10-unit boutique development with lift serving each floor. Bounded by many bungalows and semi-detached houses in the Siglap neighbourhood. Living at Poh Heng Court enjoys a special serenity; definitely a respite from the bustle of the city area. The Siglap Centre is less than half a kilometer away, as well as the Kembangan Plaza is just located within 2 kilometers with supermarkets and retail shops providing a wide-ranging amenities and a host of essential services. Rows of contemporary cafes and eateries are also located in the Siglap vicinity wihcih gives the Siglap area a buzz and hip-living. To add to the relaxed living in Siglap, sports and rescreation facilities are accesible at the East Coast Seafood Centre and the East Coast Park, in less than 5 minute's drive. The Sennett Avenue Open Space, Siglap Park Connector, East Coast Park, Bedok View Open Space, Kew Crescent Playground,Jalan Limau Kasturi Playground are parks, playgrounds, open fields located are all within walking distance from Poh Heng Court. Parents with school-going children are spoilt with a choice of well-known schools, most of them within 2 kilometres radius. These include Victoria School, Opera Estate Primary School, Temasek Junior College, the Indonesian School, Sekolah Indonesia Singapura, Bhavan's Global Indian International School - East Coast Campus. Accessibility to the city is easy either by public transport or driving via the ECP and PIE highways.